Chilly mornings, furry boots, and Pumpkin spice EVERYTHING – that’s what fall is all about in the mountains. 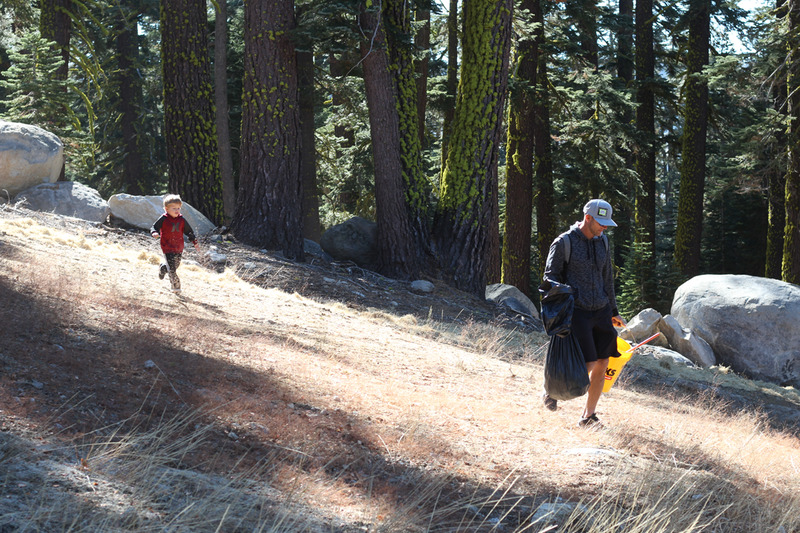 It also means putting on one our favorite events: Keep Sierra Clean Day ! KSCD is our way of showing our home mountain some love in the off-season so that we can enjoy the slopes all winter long. 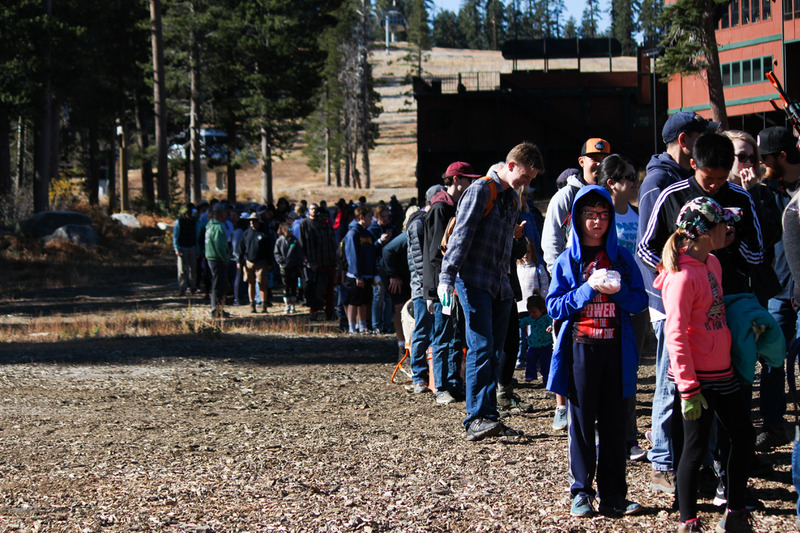 This Keep Sierra Clean Day had the biggest public turnout in recent memory. Over 350 loyal friends of Sierra traveled from near and far to and pick up debris that went unseen in the snowy winter months. Some came from the Tahoe Basin, Greater Sacramento Region and even the Bay Area to get their hands dirty and partake in a great cause. Not to “talk trash” on other resorts, but we definitely have the best fan base here at Sierra! Patrons accessed the top of the mountain via Tahoe King chair and collected whatever they could on the way down. There were some interesting finds including old skis, vintage Sierra Ski Ranch tickets, and some unopened…uh…sodas. Together, over 2,000 POUNDS of debris were collected and loaded into South Tahoe Refuse dumpsters. Holy moly! As a thank-you to those who participated, a complimentary lunch was provided in the Solstice Plaza. Everyone chowed down, enjoyed the sunshine and got to listen to local favorite Patrick Walsh bust some tunes out on his guitar and trumpet. These are the days where we are truly appreciative of our Sierra family and are proud to call this mountain our winter home. To all who came out, thank you. Looking forward, it’s high time we see some snow and get to shred those sparkly clean slopes! Pray for snow, do your dance, and join us next year for another awesome Keep Sierra Clean Day. 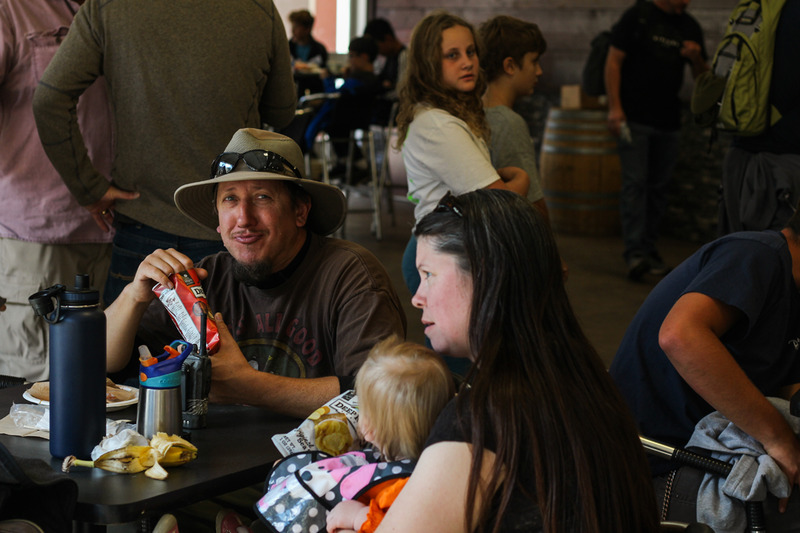 A special shout-out to our sponsors for making KSCD possible: South Tahoe Refuse, Subaru, Powder House, Sysco, and Herbspring-Gibbs.